CHECHESMITHNATION : Style Corner: Tiwa And Lilian Rocking The Vonne Couture's Fur Slide! Style Corner: Tiwa And Lilian Rocking The Vonne Couture's Fur Slide! 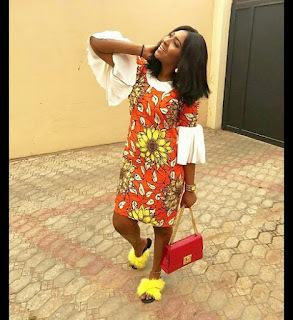 Tiwa Savage rocked hers with an off-shoulder Ankara Print dress. Lillian Esoro, rocked her print outfit from house of Rev teamed with the yellow fur slide.